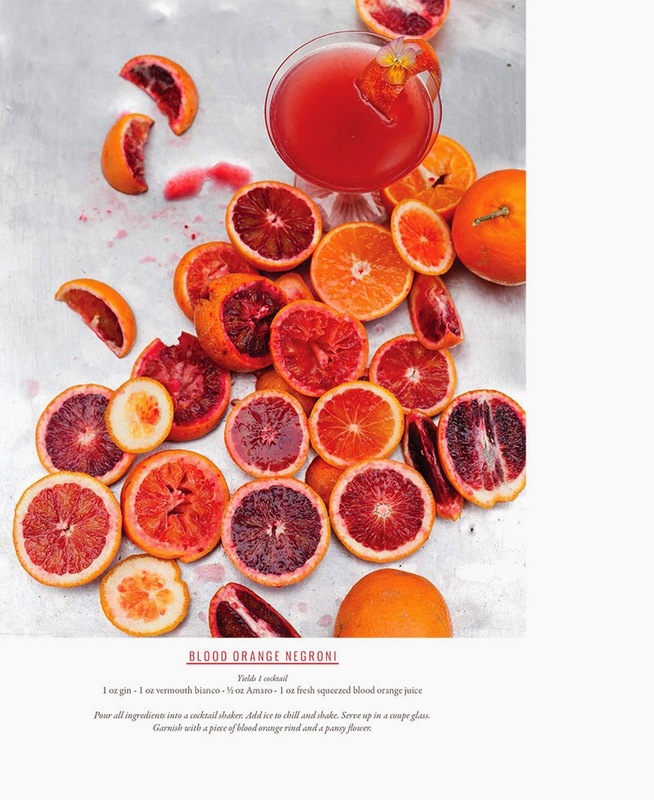 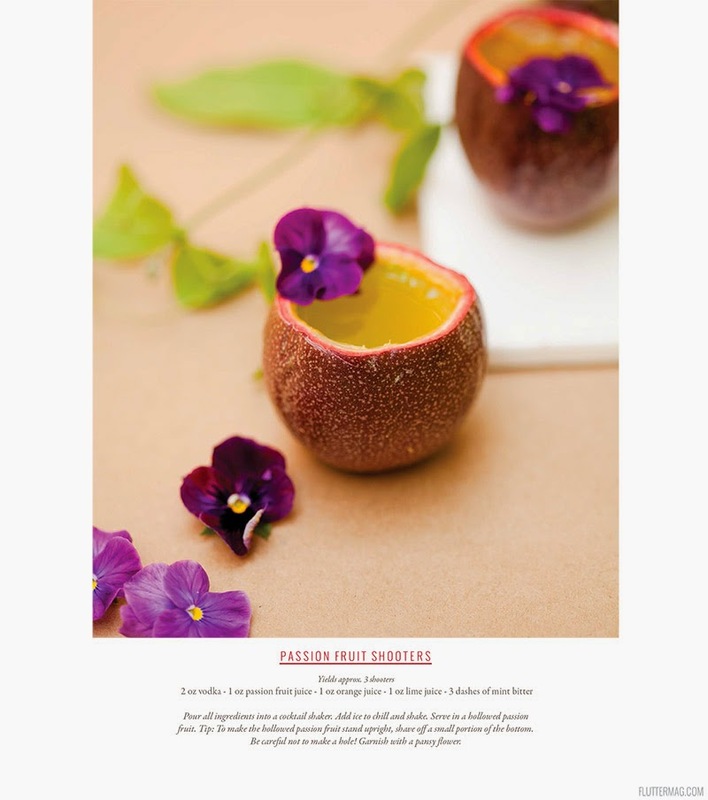 The Summer issue of Flutter Magazine is out now -- order it online here -- stylist Kelly Oshiro & I partnered up with the bartender at Sama Sama to create floral-inspired craft cocktails. 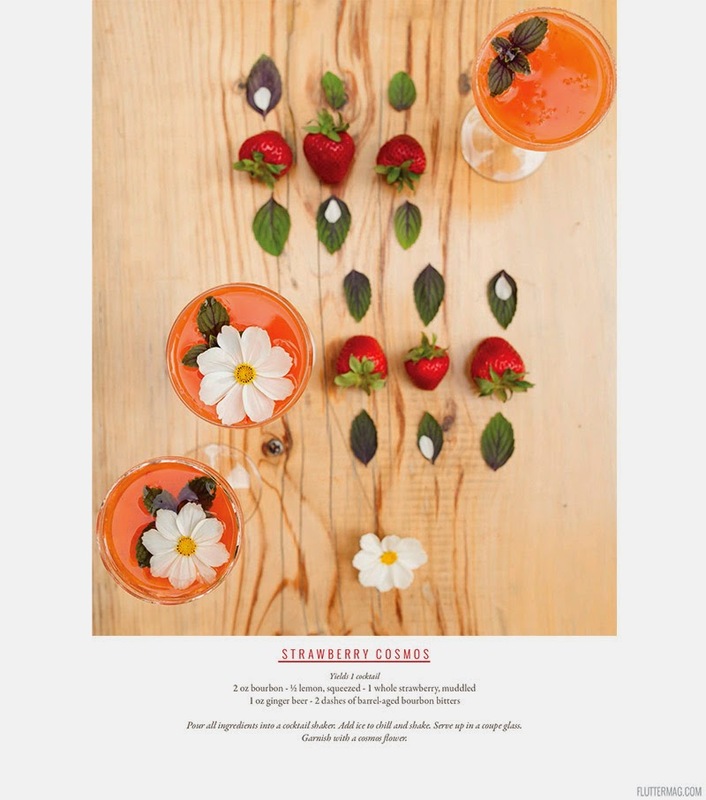 I learned a lot about different, unexpected fruity/flower combos. 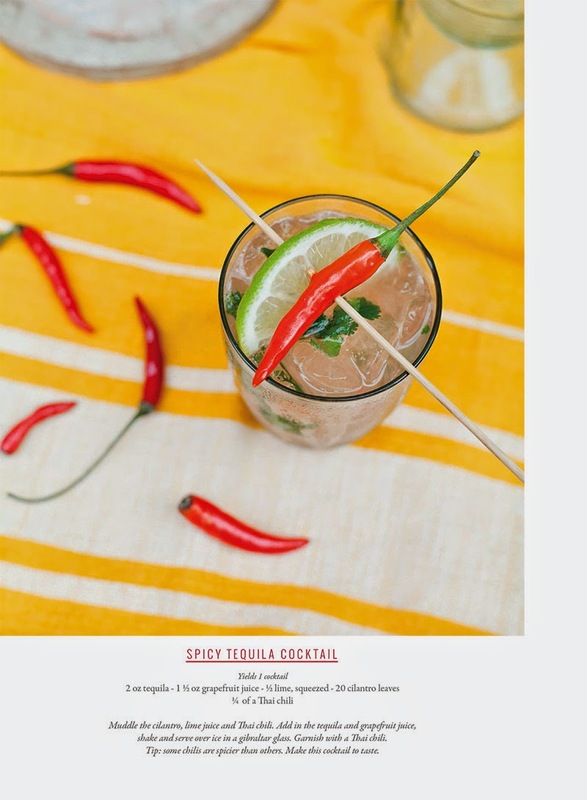 My favorite drink was the Spicy Tequila, so plucky with fresh cilantro, chiles and grapefruit juice. 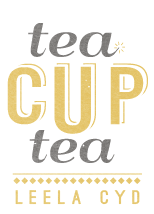 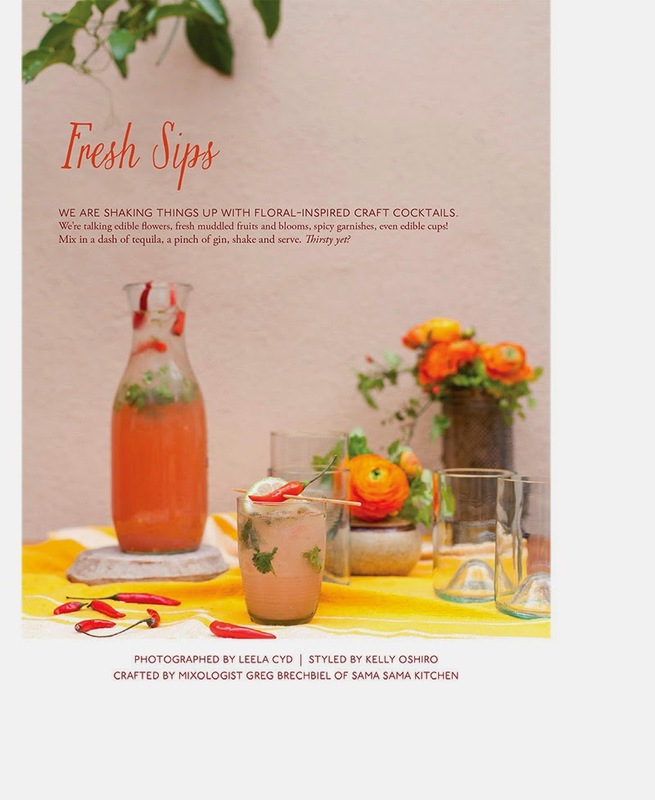 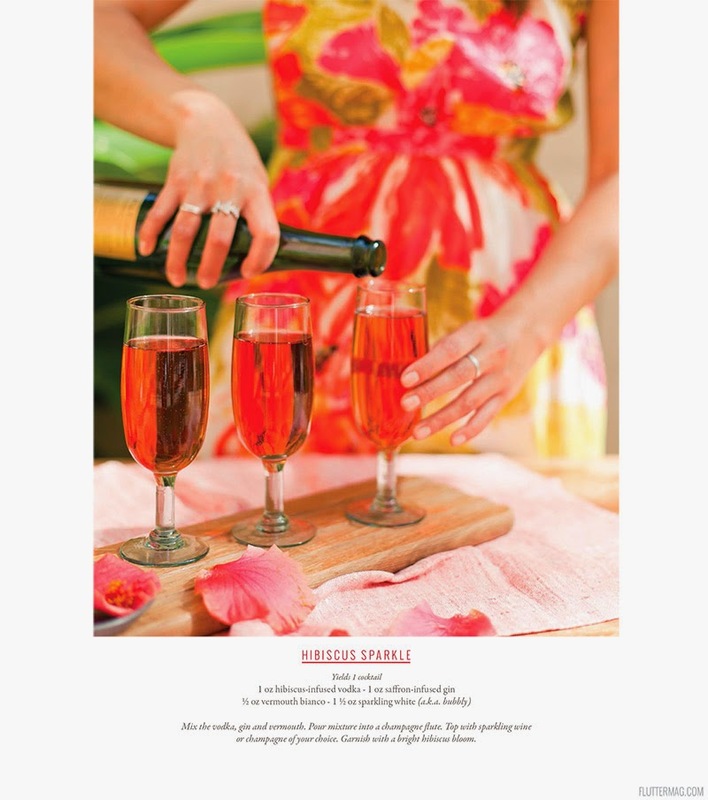 These fun cocktails and this killer magazine should definitely be on your Summer fun list!